Many parts of the country have experienced extreme winter weather, with deep freezes, snowstorms, and icy conditions. Mike DeJoseph, owner of Bloomfield Cooling, Heating & Electric, Inc. in Little Falls, N.J. said that home generator installations have become more popular during the last couple of years as weather events have become more extreme, taking down power lines, flooding electrical substations, and causing extensive power losses throughout the region. Before last year, DeJoseph said that many people were buying portable generators that run on gas. “However, as we saw with Sandy, fuel is not always readily available after a storm. That’s when more customers started asking about automatic standby generators that run on natural gas,” he explained. With rough weather conditions in play throughout the area, DeJoseph cautions homeowners about questions to ask about the installer as well as the generator. Is the installer certified? In order to hold the warranty intact, only a certified generator installer can install, repair and maintain the equipment; using a non-certified contractor voids the warranty. Generac, the leading manufacturer of generators, certifies technicians to install and service equipment under the Generac label and other brands it produces. DeJoseph’s shop is certified by Generac for both residential and commercial jobs. Are the certifications up to date? DeJoseph said his employees must take certification courses and pass exams every two years to maintain their certification status and he provides documentation to customers upon request. Does the installer have a good track record in generator installation and service? Angie’s List is one place many consumers can check on contractors and read customer reviews; homeowners should also ask the installer for referrals and check them out. The contractors should know how to fix the units as well as install them. Is the generator self-testing during off times? A properly operating generator jogs on once a week as a test. “As long as it does that, it will energize during a blackout,” said DeJoseph; he suggests that homeowners keep track of the jog test times to make sure the unit will work when needed. Many of his customers use the remote wi-fi monitoring service his shop offers; it reads error codes and alerts his company and the homeowner to any operational problems. Does the installer offer routine maintenance? The generator motor runs on oil and requires two complete oil changes a year to make sure it turns on weekly to self-test. “You don’t want to find out during a blackout that your generator got low on oil and shuts down prematurely. This lack of maintenance also invalidates the warranty,” said DeJoseph. Permanent generators require zoning permits that stipulate the location where generators may be installed. A certified installer will protect the homeowner by performing the required steps involved in choosing and installing the right home generator—and avoid unexpected obstacles problems with the town when it’s time to sell the home. “Many customers get a rude awakening when they go to sell the house or the equipment breaks down, and they discover they have violated zoning rules and are fined,” said DeJoseph. Gas load calculation to the utility – the installer ascertains if the load coming to house can handle the generator or not. The installer might need to run new service to the house from the utility or change the meter to increase pressure to the house. This allows the homeowner to run multiple gas-run appliances at same time such as a dryer, water heater, or stove. Electrical load calculation – this measurement justifies that the installer put in the right size generator for the house. Factors include square footage of the house and the number and types of household appliances. About Bloomfield Cooling, Heating & Electric, Inc.
Bloomfield Cooling, Heating & Electric, Inc.,located at 127 Paterson Avenue in Little Falls, New Jersey, serves homes and businesses throughout Bergen, Passaic, Essex, and Union counties. 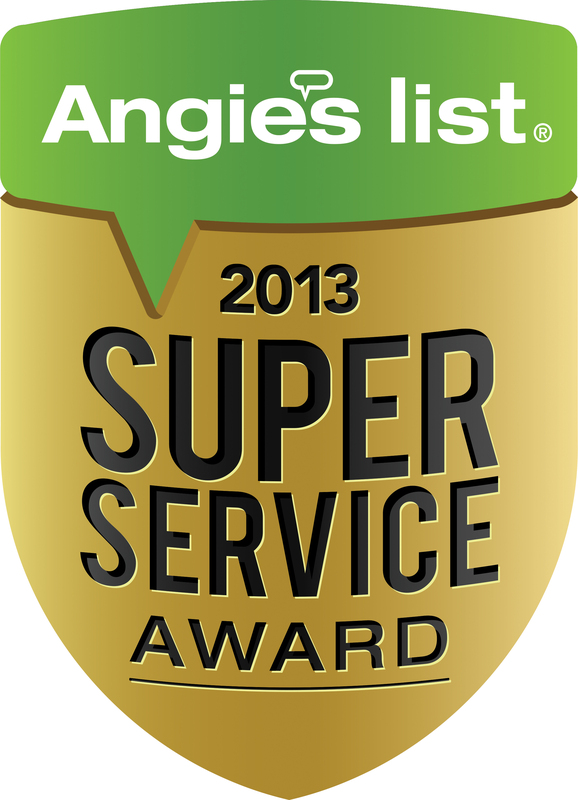 A specialist in home and commercial generator installations, the company won three different Angie’s List Super Service awards in 2013 in recognition of its superior service ratings and reviews in three distinct categories: generator installation and service, heating and air conditioning (fifth year in a row), and sheet metal fabrication and restoration. Its technicians are certified by Generac, the leading manufacturer of generators, to install and service equipment under the Generac label and other brands it produces. Bloomfield Cooling holds an A+ rating with the Better Business Bureau and an A rating on Angie’s List. 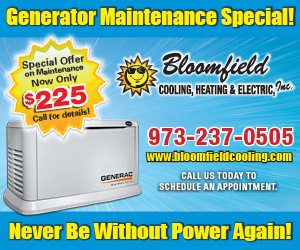 For more information or a free consultation, contact Mike DeJoseph at (973) 237-0505 or Info(at)BloomfieldCooling(dot)com, or visit http://www.BloomfieldCooling.com. Bloomfield Cooling, Heating & Electrical, Inc.